A Dream come true! This newer built Victorian home is the best of the best. Each bedroom has a private bathroom, the bonus room on upper level could be made into a mother-in-law apartment (plumbed for water), has a private entrance from garage in addition to access from home. The decor is Victorian with beautiful crystal chandeliers, leaded glass fixtures, Victorian Window treatments and much more. Typical of the period - some furniture available for sale. The 2 x 6 construction, insulation and furnace and air conditioning on entry and second floor make this a very energy efficient home. From the marble counter tops in the kitchen and the modern energy efficient appliances to the gorgeous wood floors, pocket doors, and 9 ft plus ceilings, this Victorian is fabulous. 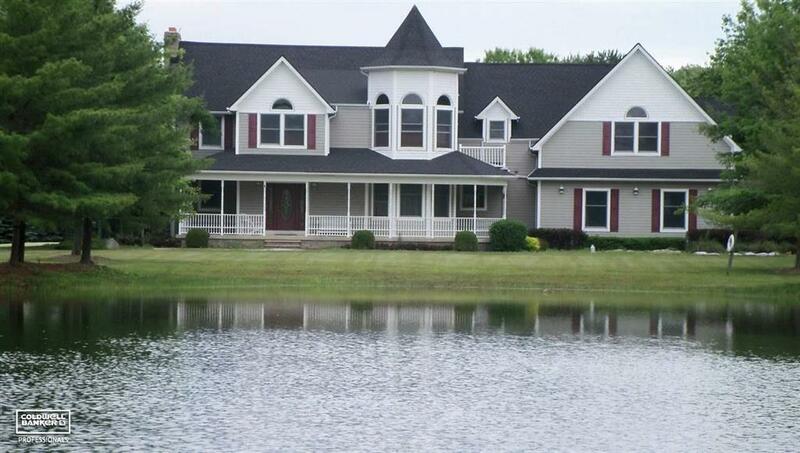 Nestled several hundred feet off the road with black topped drive provides quiet and privacy. Added to the property is the 30 x 50 pole barn with 220 electric and the estate is complete.